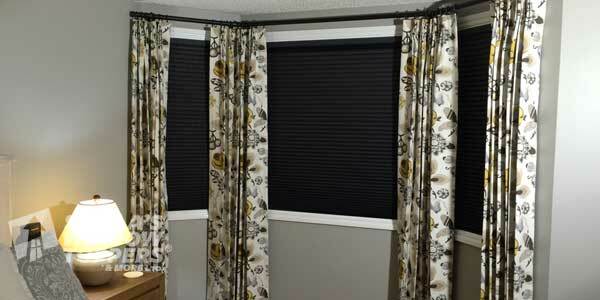 Child Safe Blinds and Pet friendly Window Covering are a growing concern in Calgary’s Window Treatment industry. Child safety blinds and shutters is becoming an important part of every home with pets or children. Sheila’s Window Toppers provides the best custom window treatments for your home including blinds, shutters and drapery that are all child safe and pet friendly. Child Safe Blinds and Pet Friendly Shutters! From cordless blinds to power blinds. From Retractable lift cords to wand controls. At Sheila’s we offer a wide range of lifting systems that enhance child safe blinds and pet safety. Most Window Covering Manufactures offer Child safe blinds and Pet Safe options for window coverings. These options eliminate free hanging cords which would allow strangulation to occur. These options are a feature that can be added to most types of window coverings and do add to the cost of the blind or shade. If your window coverings are not child safe and you would like free kits to make them child safe please click here to order free retrofit safety kits. Learn how to retrofit old window covering to make them child safe by clicking here. One child or pet safe option is the cordless option. It offers clean lines and has no visible cords and is easy to operate. You can feel comfortable knowing that your child is safe when they are playing in their room, when you have purchased a cordless shade for them. Cordless lifting systems are available on a number of types of blinds including wood blinds, faux wood blinds, aluminum blinds, cellular shades, roman shades, roller shades, and silhouette shades. A number of window covering manufacturers offer cordless lifting systems including Hunter Douglas, Shade-O-Matic, Maxxmar Wood Shutters and Graber, all which can be found at Sheila’s Window Toppers on Crowfoot. Keep your children and pets safe with certified child safe blinds. Shop for cordless blinds with Sheila’s Window Coverings! Hunter Douglas offers another alternative on most of their products if the cordless option will not work in your windows. Hunter Douglas has the unique Ultra-Glide retractable cord system which is also child safe as it does not form a loop. Another alternative is to add Power Blinds to your window Coverings. Hunter Douglas PowerView makes operating your shades easy on any window no matter the height or location. At Sheila’s on Crowfoot we are an authorized Hunter Douglas Motorization Specialist Store, so whether you require a hard-wired or battery operated system, you can trust that you are dealing with someone that will et the job done right for you. Drop by Our Showroom At 250 Crowfoot Cres. N.W. to view all the products and completely understand what you are purchasing. Many types of blinds and shades can be operated with a battery operated system. Battery operated systems can be added to the following types of shades: Silhouette, Pirouette, Duette, Applause, Vignette, Wood, Faux Wood and Horizontal Shades as well as roller shades. Your window does not have to be in a hard to reach location just to add the benefit of PowerView to the shade. You may opt to add this feature because the shade is large and a PowerView operating system make lifting the shade easier. You may add this feature because it eliminates unsightly and dangerous cords, making the shade child and pet friendly. Today, window covering are considered as Window Fashions. They are a focal point in most homes due to the size and number of windows. Adding Power or upgraded lifting systems, such as cordless or ultra-glide is not only an investment in the safety of your family members, it is also an investment in ensuring that your window coverings will last as long as possible. Upgraded lifting systems are recommended on larger and heavy blinds to extend the life of the blinds by eliminating the stress on lifting cords. 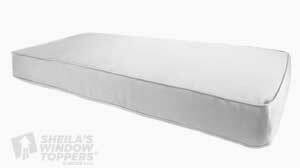 At Sheila’s Window Toppers & More on Crowfoot, we carry a variety of window covering Brands to fill everyone needs. Most brands offer safe lifting options for your homes Window Fashions.